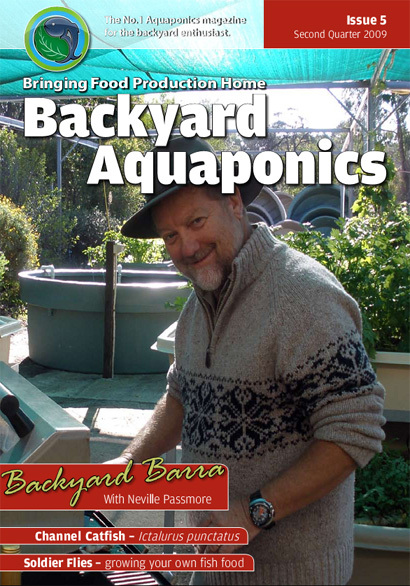 The fourth edition contains the second article from John Burgess about fish senses, as well as a number of articles explaining peoples home aquaponic systems, and a feature article on yabbies. Details about some of the articles are available below along with some sample pages. This edition is available as an electronic magazine for immediate download. The download file is a pdf file approximately 5MB in size. 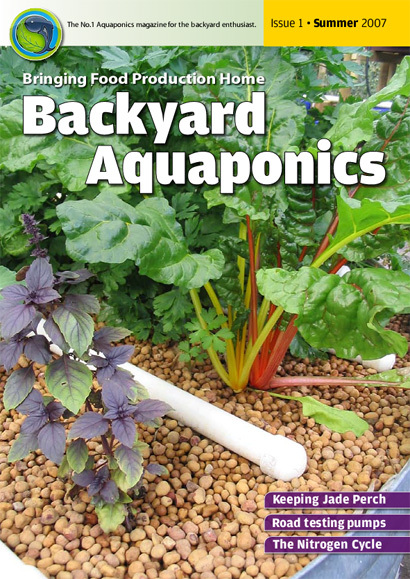 We feature the winner of the backyard aquaponics photo competition for 2008, Dgrdaltons “forgotten water main” was voted as the favourite photograph. We also preview a few of this years early entries for the photo competition. 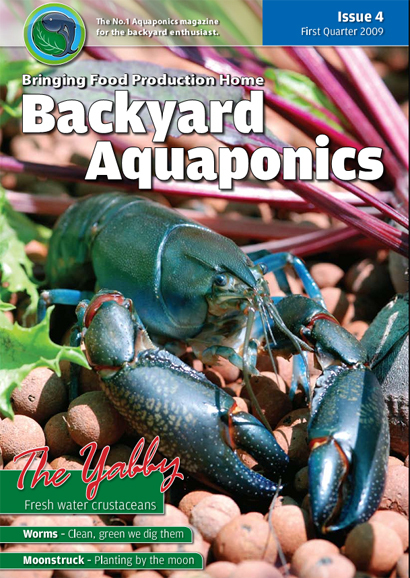 An indepth article about the yabby, discussing the life cycle, anatomy and prospects for growing and breeding yabbies in an aquaponic system. All the information you need for growing your own. Worms are an important part of a media filled growbed systems. They break down the solid wastes from the fish tank and old plant matter within the media. This article covers all you’ll need to know about worms. The moon cycles play an often underestimated part in plant growth and life cycles. This article examines the lunar planting cycles and its effects on plants. John Burgess gives us the second part of his article on fish. This article covers fish senses, how fish feel, taste, smell, see, and their special sixth sense. This is one article not to be missed. Travis Hughey travels to the Philippines where he helps construct a barrel aquaponic system and gives talks to locals about the benefits of aquaponics.